CAPE CANAVERAL, Fla. — SpaceX's Dragon cargo ship returned to Earth from the International Space Station on Sunday, bringing back nearly 2 tons of science experiments and old equipment for NASA. The robotic commercial spaceship splashed into the Pacific, just five hours after leaving the orbiting lab. "Welcome home, Dragon!" the California-based company said via Twitter. The Dragon rocketed to the space station on April 18 with a full load and arrived at the orbiting lab two days later, on Easter Sunday. After a one-month visit, the cargo ship was set loose Sunday morning. Astronaut Steven Swanson, the station commander, released it using the big robot arm as the craft zoomed more than 260 miles (420 kilometers) above the South Pacific. "Very nice to have a vehicle that can take your science, equipment and maybe someday even humans back to Earth," Swanson told Mission Control. The SpaceX Dragon is the only supply ship capable of returning items to Earth. The others burn up on re-entry. 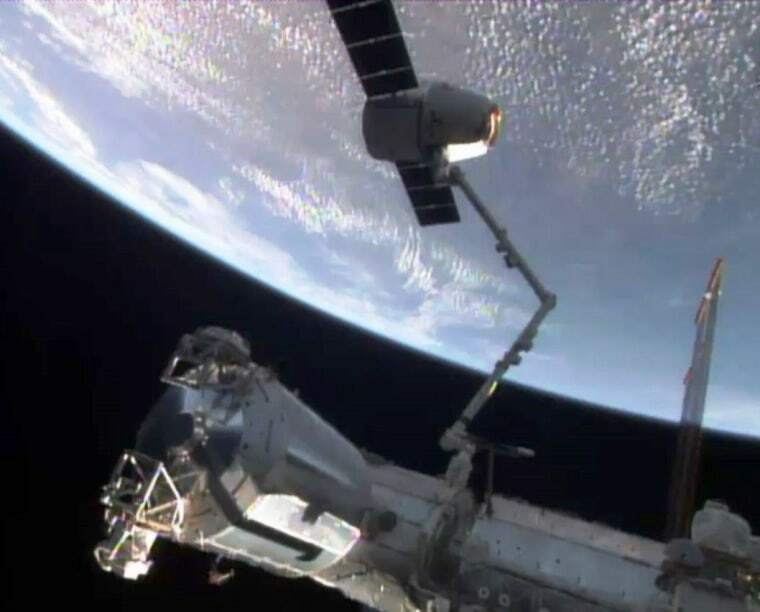 This was the fourth Dragon to bring back space station goods, with 3,500 pounds (1,600 kilograms) aboard; it came down off Mexico's Baja California coast. A recovery team is bringing the craft and its cargo back to shore. NASA is paying SpaceX and Virginia-based Orbital Sciences Corp. a total of $3.5 billion to make station deliveries through 2016. Orbital is next up, next month. Russia, Europe and Japan also make occasional shipments.